Jaffna Fort is located in the Jaffna peninsula of Sri Lanka. It was built in 1618, under Philip De Olivera following the Portuguese invasion of Jaffna. A Colonial-era fort, it was built with the prime objective to consolidate the Portuguese stronghold in Sri Lanka. The Portuguese ruled Jaffna till 1658 after which it was captured by the Dutch. 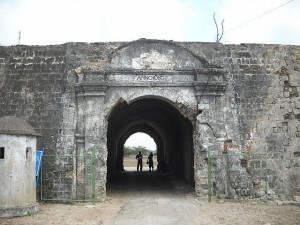 Under the leadership of Raiclop Van Goins, various expansion activities were carried out at the Fort, consequently making it the second largest Dutch fortress in Sri Lanka. After a century and a half of dominance over Northern Sri Lanka, the Dutch finally ceded control to the British in the year 1795. 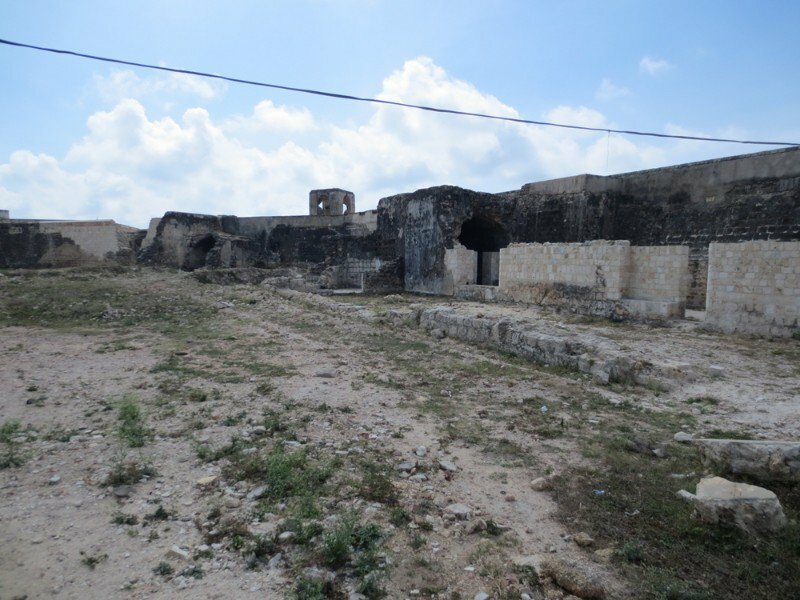 Most of the fort today lies in ruins due to the decades of armed conflict and onslaught that has plagued the region. 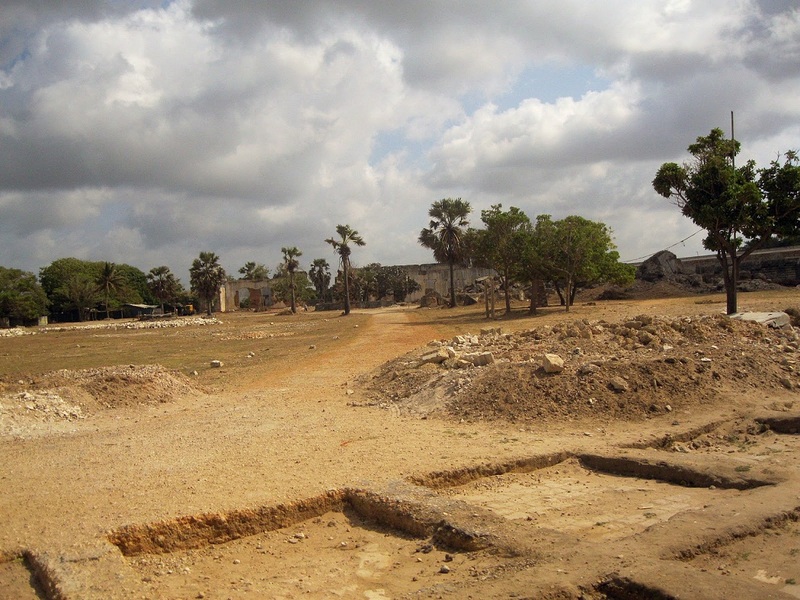 A map would show the Jaffna Fort as a polygonal walled structure, though in reality most of its walls are hidden beneath overgrown slopes. Outside the moat in the outer ramparts is a series of five tunnels, each under twin formation. The tunnels are well preserved, but seem to be void of doors. 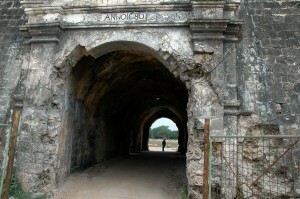 However, there are signs that they might have had doorways in the past. Most of the monuments within the fort have been destroyed. 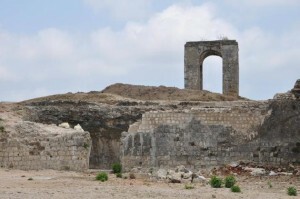 Of these, the monument named the Queen’s House is under sufficient level of preservation and can be easily identified. 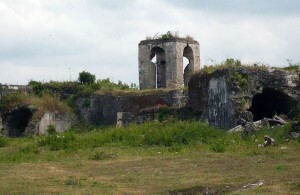 Though the upward extension of its framework is completely destroyed, most of the walls still remain. A short parapet built in Dutch style architecture seems to have been spared the destruction and still stands in front of this building. 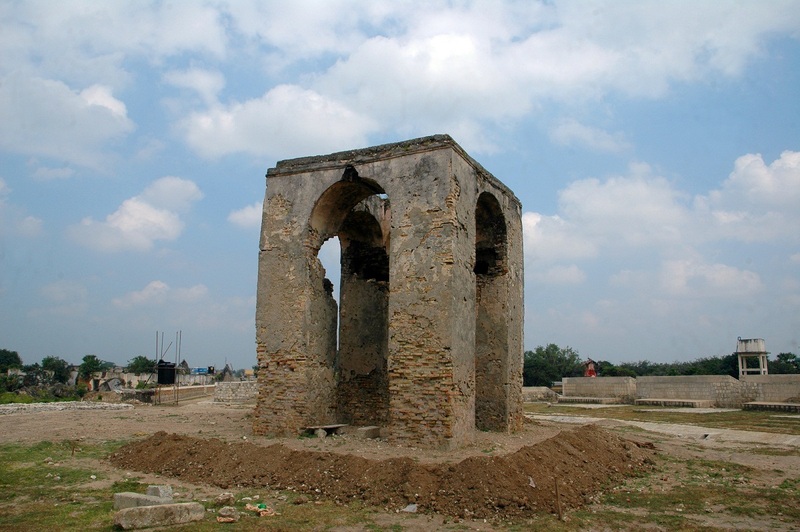 The fort also had a Church located within its compounds which was subsequently bombed and leveled. Since its presence was documented, its layout can be identified. 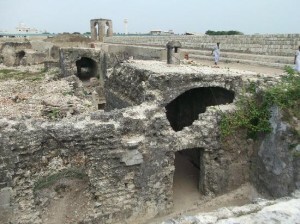 The Church had broad walls and was constructed primarily in limestone. The fort also had a prison, a hospital and other ancillary buildings. Even today the fort remains garrisoned by a detachment of the Sri Lankan Army and is under renovation with only limited access allowed to visitors.